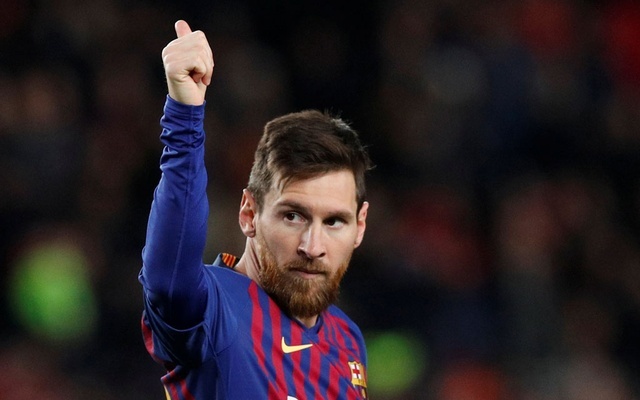 Reuters: Lionel Messi became the first man to score 400 La Liga goals as Barcelona eased to a 3-0 win at home to Eibar on Sunday which kept the Catalans five points clear at the top of the standings at the halfway point of the season. Luis Suarez, who scored twice, helped tee up Messi’s landmark goal, which came in the 53rd minute of the Argentine’s 435th league appearance for Barca and saw the league’s top scorer increase his tally to 17 goals in 17 games this campaign. Suarez’s goals took him on to 14 league strikes for the season and means he and close friend Messi have scored a remarkable 31 times between them this season — more than the total goal tallies of 17 teams in the league.